HelloGrads » News & Views » Get Rid of Those January Blues! Get Rid of Those January Blues! We are nearing the end of January and Christmas feels like a distant memory! We are already a few weeks back into work or uni and some of us may be feeling those January blues! We wrote about setting goals at the beginning of the year and just wanted to check you’re still feeling good about them? According to Strava, the 12th January is the date that most people will have given up their resolutions, so if you’ve made it this far… Congratulations! Getting a little bored of that ‘healthy meal plan’? Here are some tips to keep you sticking to those 2019 goals! Make sure they are realistic! It’s totally fine to re-assess and change your goals. In fact, it’s really important that they stay realistic. Looking for your first job in the industry after graduating? Don’t put pressure on yourself to find your dream job. How about setting a goal to find a job that you enjoy? Or a job that will earn you some money to support yourself for when you start looking for something more specific. You never know where an opportunity may take you, you might not know that it’s what you want until you’ve got it! Instead of setting a goal for the year – how about weekly goals that are achievable? 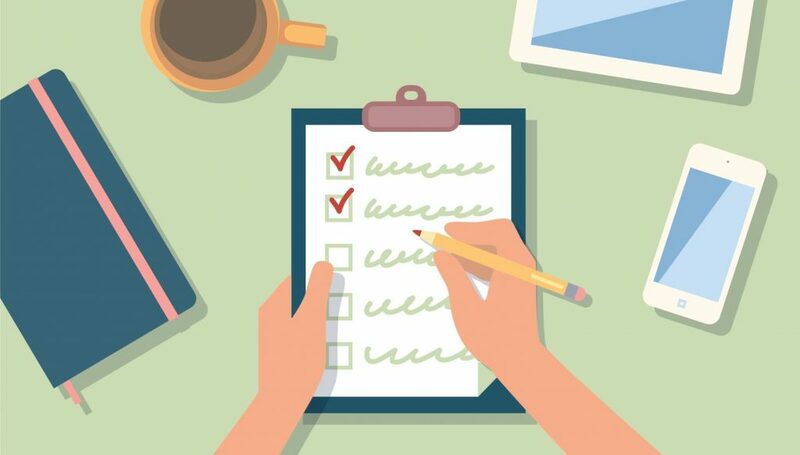 Try adding a weekly checklist in your diary with three goals that you should achieve. Then feel the satisfaction as you check them off weekly and make it to the end of the year! Remind yourself of the positives! Sometimes you can feel like you’re being unproductive or not progressing! Topped with all of your friends posting about the amazing things they’re achieving, whilst you’ve been in bed for a week with a cold or just haven’t had a particularly spectacular week – you can feel pretty miserable! But think of the positive things that have happened! Have you made time to spend with family or to exercise? Are you managing to save money, or have you made plans for a holiday? Find a positive spin, which will be the motivation you need to keep aiming at your goals! Whether that be clearing out your wardrobe to make space for the clothes you’ve bought (which may show that you should cut down on this! ), clearing your emails and unsubscribing from all of the clothing companies that you are no longer going to buy from (!!!) to ensure you don’t miss the important emails, or decluttering your notebooks or diaries to make clear plans – a spring clean makes you feel better any time of the year! Read our top tips to stay positive, embrace change and find your happy place. Watch Carrie Green, Founder of the Female Entrepreneur Association, as she discusses the benefits of visualising goals, to focus on achieving what you want. Mark Swain, Director of Partnerships at Henley Business School, talks about how developing the skill to change your mindset to a positive one, results in success. Hear his experience of how powerful a positive mindset can be.